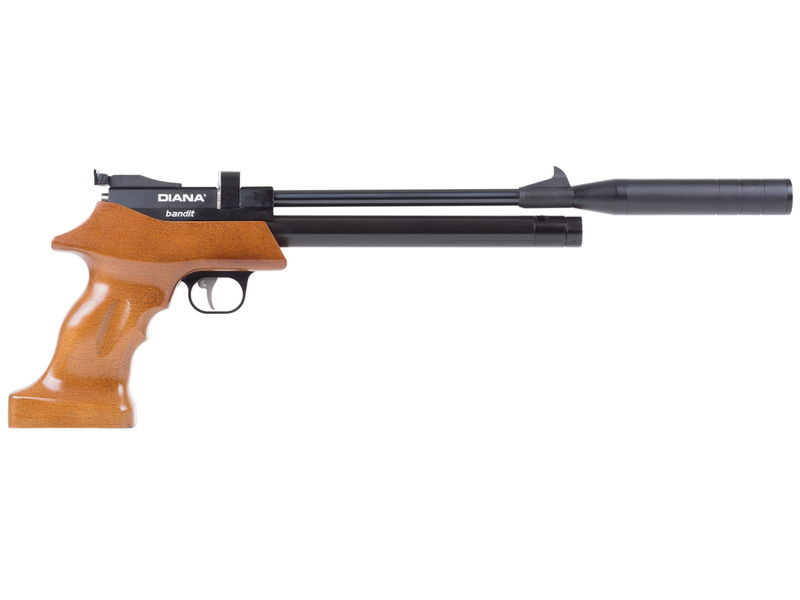 The Diana Bandit is a bolt action repeater (9 shot .177 / 7 shots .22) PCP pellet pistol with a wood grip. 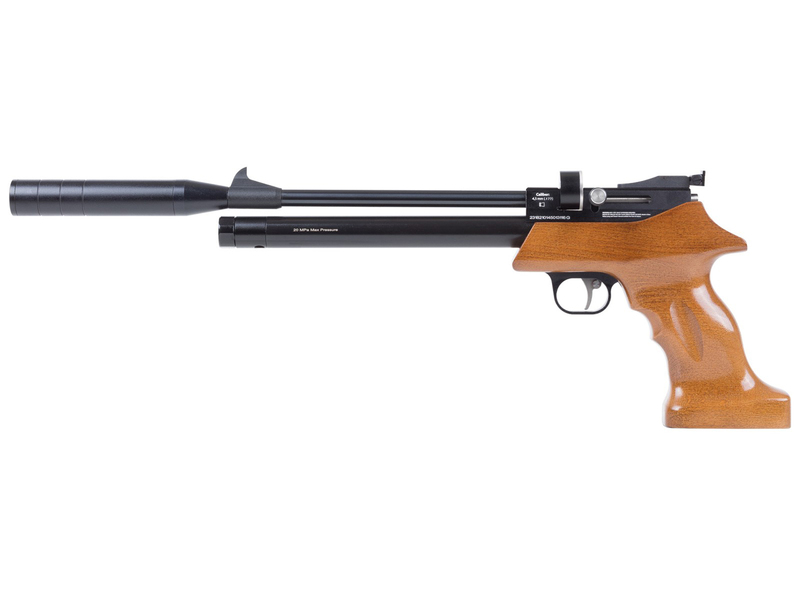 This is a great PCP pistol for the money with features like fixed moderator for quiet back yard friendly shooting, and two-stage adjustable trigger. 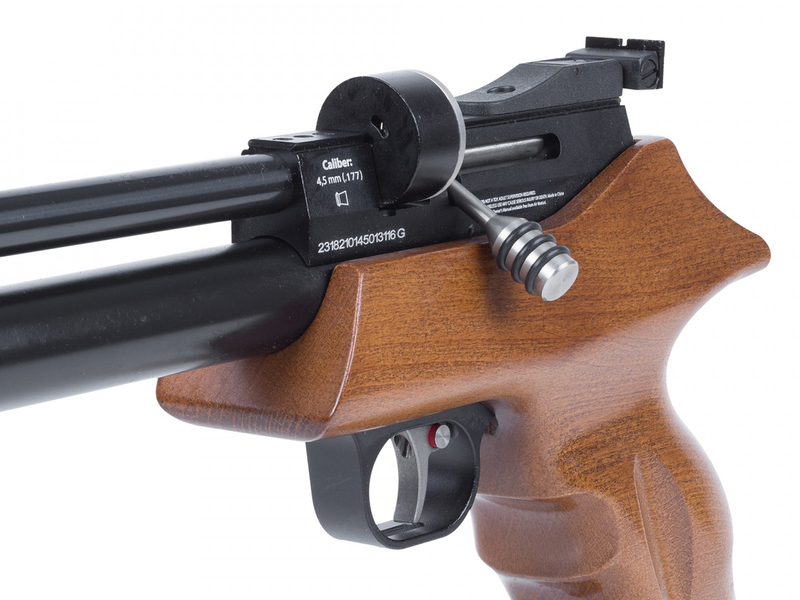 Optics include 11mm dovetail scope rails, adjustable rear sight, and fixed blade front sight. 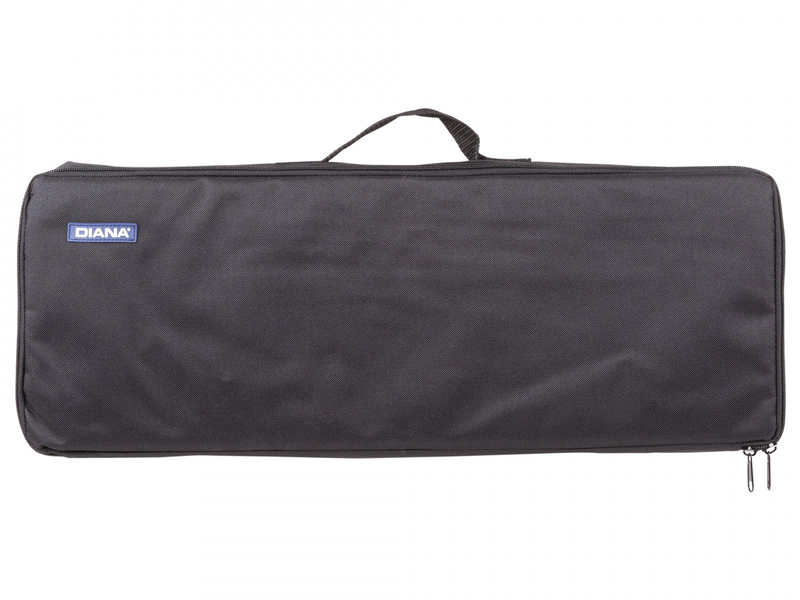 A handy foam padded carrying case with an extra zipped pocket in the liner is include. 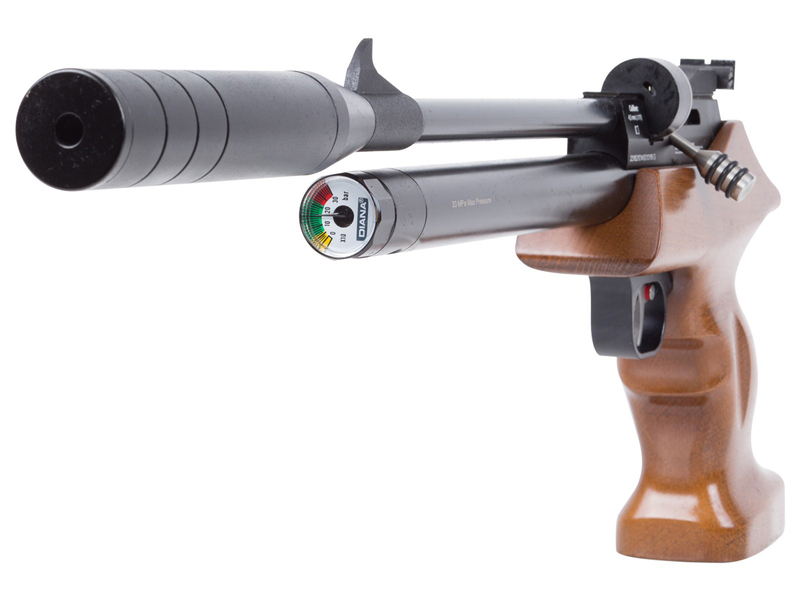 Max velocities are rated at up to 725 fps in .177 caliber, and 633 fps in .22 caliber. The 50cc cylinder can handle up to 200 BAR / 2900 psi fill pressure and can be easily charged with a PCP hand pump or air tank.